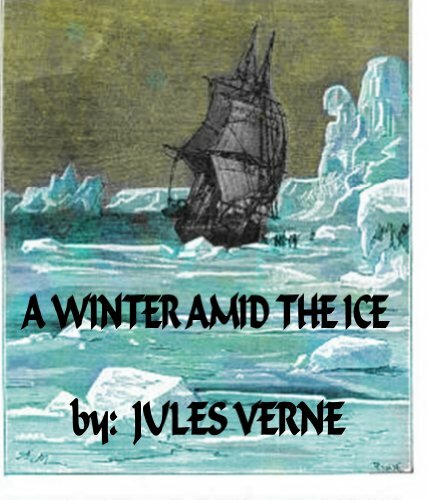 Another of Jules Verne's thrilling stories, this one was written in 1855. Jean Cornbutte decides to refit a ship and find his son Louis and members of the crew when the ship Jeune-Hardie doesn't return from sea. Accompanying Jean on this voyage is his son's fiancee, Marie, and the man who would be is son's rival for her affections, the ship's first officer, Andre Vasling. When the ship is found the only thing to do is survive the bitter cold and the rivalry. Based on a true story, this novel is considered by many to be Jules Verne's masterpiece. This is the enthralling tale of five men who land in a balloon on a faraway island and their struggle to survive as they uncover the island's secret.